Springtime in Epcot means the return of the annual Flower and Garden Festival. With those flowers, also comes spring rain showers. Regardless of what time of year you travel to Walt Disney World, the Florida climate might throw a rainy day your way. No need to despair though! There is still a lot of fun to have in the parks despite the rain clouds. On a rainy day, I recommend heading to Epcot to find plenty of activities - many of which take place inside! 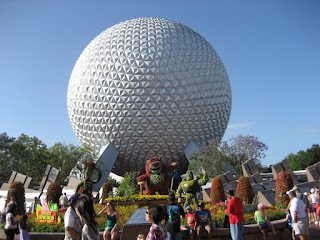 Unlike the other parks, a good number of Epcot attractions are actually located inside large pavilions. You can easily spend over an hour in several of the pavilions in Future World. The Land pavilion is home to Soarin' and the Living with the Land ride. 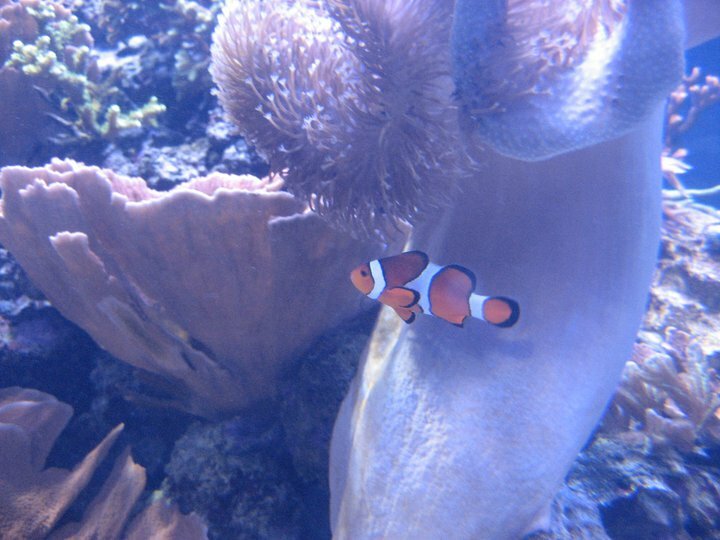 Meanwhile, you can easily spend upwards of 90 minutes inside The Seas with Nemo and Friends riding the ride, talking with Crush, and viewing the various types of sea life inside the aquariums. Journey into Your Imagination with Figment and Ellen's Energy Adventure are other great choices in Future World. World Showcase requires a bit more walking, but still offers many indoor shows and attractions. Many countries including Canada, China, and America to name a few offer shows that highlight their culture, all of which are inside theaters. Many of the shops and restaurants in each country are connected or are located right next to each other so you won't need to worry with umbrellas or ponchos to stay dry. Even the rides in World Showcase are inside including the Gran Fiesta Tour and the new Frozen attraction. And when all else fails, you can always hide from the rain in one of the many restaurants located around World Showcase. Some of the best restaurants featuring unique cuisines from around the world can be found in Epcot. One of my favorites is to visit the Rose and Crown Pub in England. Traditional UK favorites mix with comfy decor and a beautiful view of World Showcase Lagoon. So don't let the rain dampen your Walt Disney World plans! Each park has things to see and do when the weather is less than perfect, but Epcot can turn any day into a "Zip-a-dee-doo-dah" day!